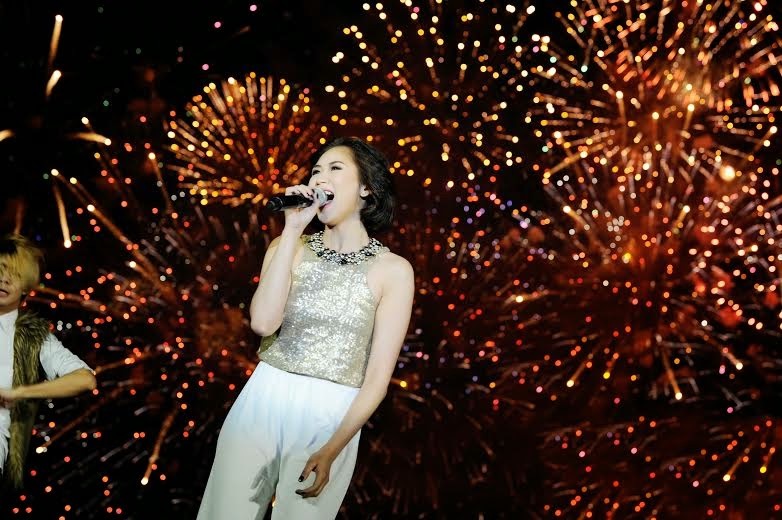 Manila, Philippines - Popstar Princess Sarah Geronimo wowed the spectators of 5th Pyromusical International Competition last Saturday, March 22, 2014 with her live performance at the event finale held at the SM Mall of Asia along the scenic Manila Bay. 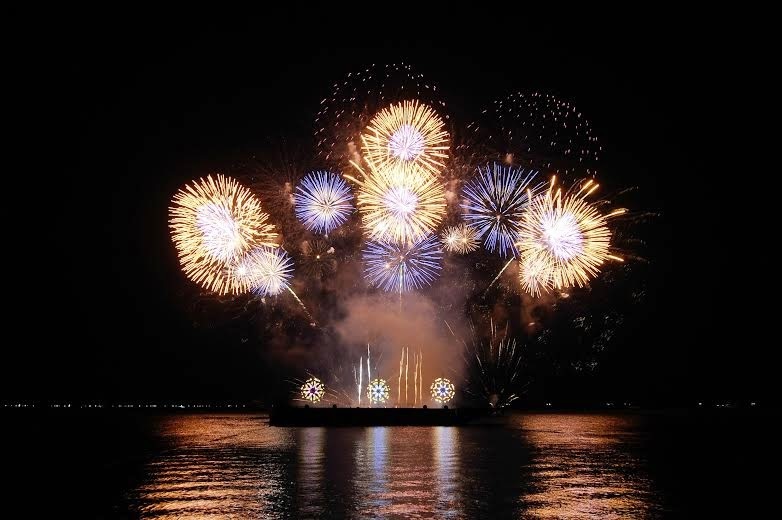 The International Pyromusical Competition was presented by SM Development Corp. (SMDC). The annual event put on a world-class spectacle of lights and colors staged by some of the world’s leading pyrotechnic experts. Painting the Manila sky with bursts of vivid color, this year’s winners include: Canada’s Royal Pyrotechnie as grand champion; China’s Liuyang New Year Fireworks as First Runner Up and United Kingdom’s Jubilee Fireworks as Second Runner Up. A successful all-around artist - a captivating singer, a box-office actress and a stunning live performer – Sarah is every bit the epitome of a true star. She is the perfect endorser to champion SMDC’s thrust of giving its buyers the taste of 5-star living. With all her years in local show business, Sarah has become one of the country’s brightest stars. Her talent and professionalism has kept her at the top of her game; but that she has remained grounded despite all her success truly makes her a role model – indeed one of the good guys. “Make a wish and your dreams will come alive; Oh it's the good life, by the good guys / Have your star life, you'll be sky high / Be who you are, feel like a star,” the song’s lyrics go. As the theme for the campaign, its message is clear: The time is now to reach for your dreams, and with SMDC, your dreams can easily become a reality. Both SMDC and Sarah believe that every Filipino deserves a shot of living the life of a star. Sarah is still young but even she has begun thinking about her future, thriving career aside. For this reason, she also encourages her followers to always keep in mind that it never hurts to be thinking and planning ahead. “Having your own place to live does not necessarily mean you are leaving your family behind, or that you want to be away from them. People have different reasons for wanting their own place. Some want to experience an independent life; while others are more interested on investing. The purpose really varies,” Sarah notes. In fact, for Sarah, her future plans involve making the most of her earnings and putting it where it counts. “Hopefully, I can make investments and turn it into a business by renting out the units.” she says. Sarah delivered a wonderful performance of the SMDC “Star Life” during the closing exhibition of the 5th Philippine International Pyromusical Competition. Apart from that, she also stars in the SMDC Star Life music video that was released last February 28 and, by now, already has over 156,000 views on TheOfficialSMDC YouTube channel. As the face of SMDC’s “Star Life” campaign, Sarah will also grace its billboards, print and TV ads.